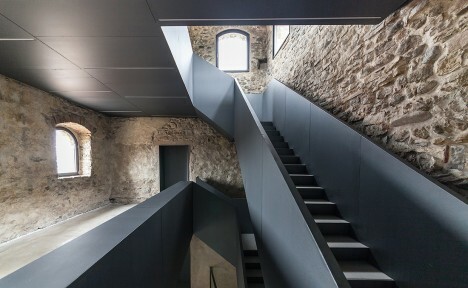 Matte black steel and timber-clad stacked volumes fill in empty spaces throughout the medieval Torre del Borgo in northern Italy, a recent renovation stabilizing the crumbling stone walls and connecting the four stories together for transformation into a public library. 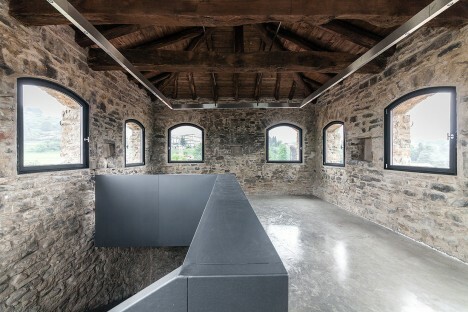 Still strong after all these centuries, the stone shell of the fortified building works in concert with modern materials to create a space that provides an important function to the community, and helps preserve its history. 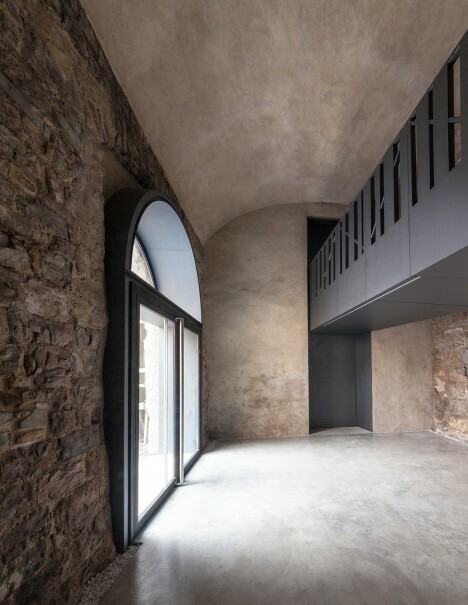 Before it was re-designed, the Torre was not only falling apart piece by piece, it lacked adequate means of passage from one floor to the next, and the interiors were unfinished. 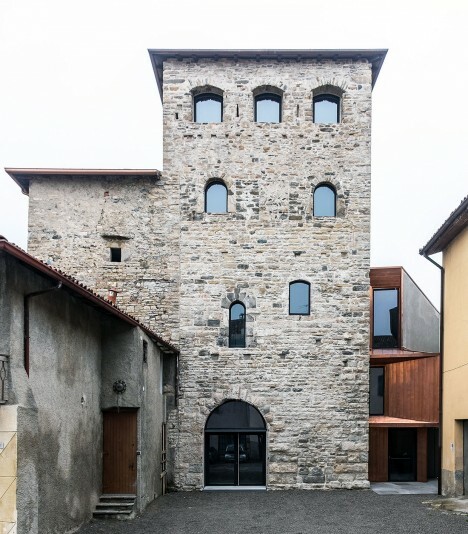 It needed structural support, extra space and additional windows to make it usable for the city of Bergamo. 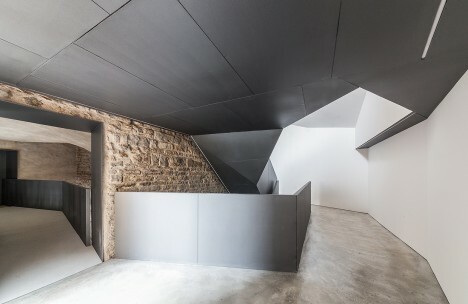 Architect Gianluca Gemini came up with “an architectonic and functional reinterpretation of the building” that identifies solutions to the degradation. 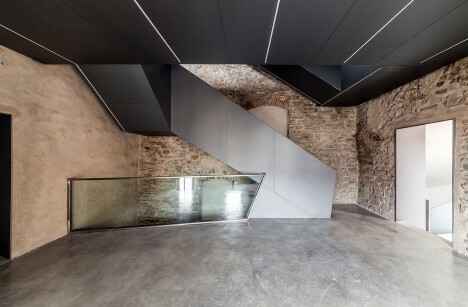 Black iron ramps and walkways cut across the four main halls, making them fully accessible and highlighting a contrast between the smooth steel and glass and the rough, mottled stone. 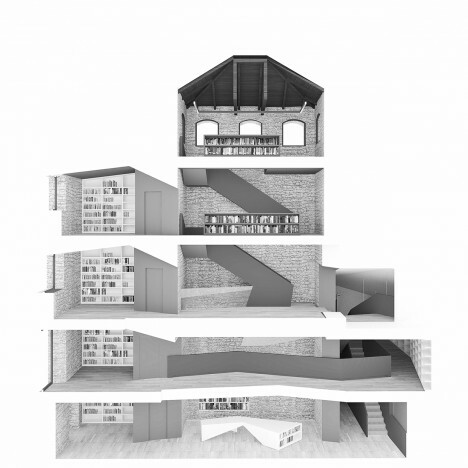 This solution is visually striking, invisible from outside and leaves plenty of room for library patrons to read and browse. 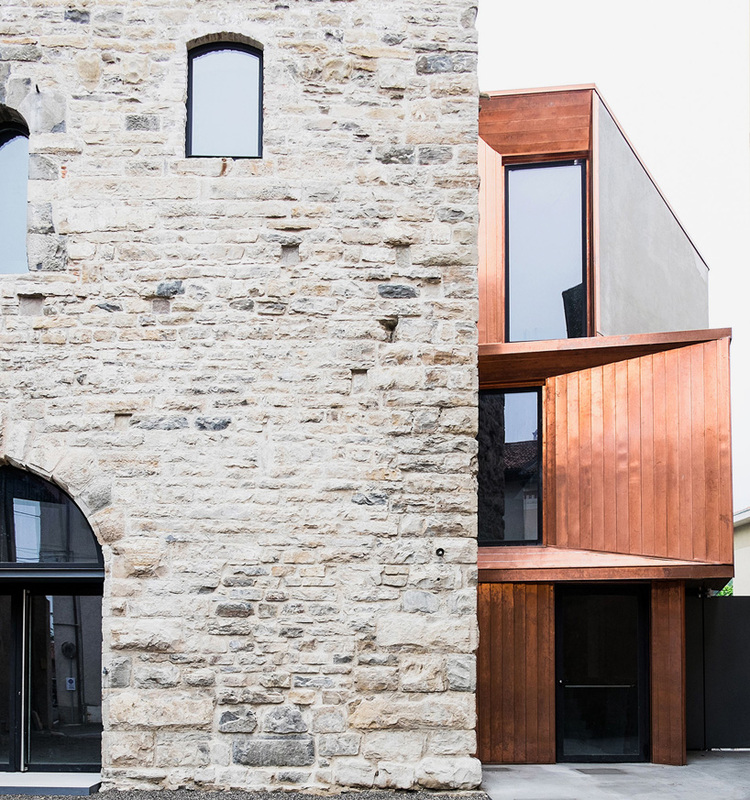 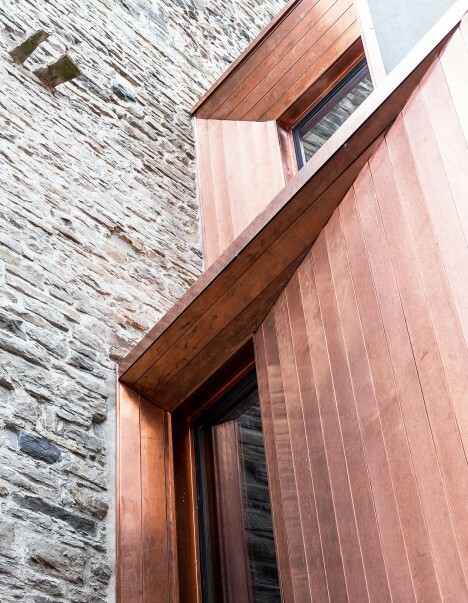 The timber and concrete addition features floor-to-ceiling glazing to bring more natural light to the interior, and adds floor space, without significantly altering the original stone structure.